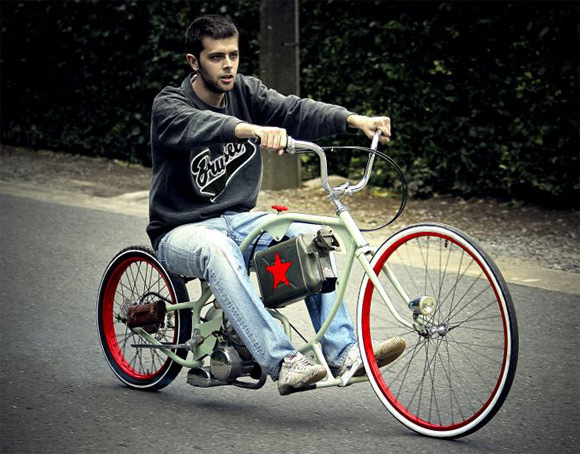 When purchasing a bike, many people according to their taste and usage want to have a unique design in order to seek definite performance. But the mass production of this entity makes it difficult for companies to make a bike for every person. Hence, they manufacture an all purpose bike for majority after ignoring the minorities. And there is little arguing to the statement that not much people can spend big to order a custom made bicycle for their desired purposes. If you can spend big time, you can order individual assembly of the bike in a specialized bike shop, where will take into account all your wishes for the future needs. Or you can make a bike from scratch yourself but the problem is rather laborious. To do this you need to have the skills of turning and plumbing, should have a shop in which you should have accessories, equipment with the necessary tools and instruments. First of all, you need to develop a blueprint for the bike. It is better to check existing drawings made by amateurs and craftsmen on the Internet. If not, you always have the option to draw your own. Once you captured a suitable drawing, review it carefully. Move on to the next phase i.e. you need to manufacture metal tubing frame with different diameters. Purchase a suitable material and start to implement each element separately. Join elements together with the help of welding. For the manufacture of plug you need Compactors' installation of small size and gas welding. You can use the forge and tools designed for metal forging. When the frame and fork are almost ready, you will need to drill holes for the leading "stars" in the frame and wheel attachment to the frame and fork. The holes should be perpendicular to the longitudinal axis of the frame and are parallel to each other. Then you need to make wheel removal, leather saddle with seat post and pedals. Fasten all the details to the frame, hang the chain mechanism, wheels and brakes.